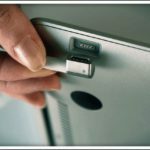 You are here: Home / Mac / Are Your MacBook USB-C Ports Loose? Are Your MacBook USB-C Ports Loose? 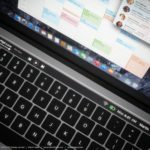 The USB-C port on MacBook and MacBook Pro laptops is fast, versatile, and apparently unreliable. After six months of use, many users are experiencing poor connections to external devices. 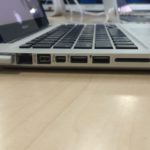 Are your MacBook USB-C ports loose? Read below to find out what you can do about it. Way back in 2015, Apple released their first 12-inch MacBook, replacing the long-standing MagSafe with a single USB-C port. 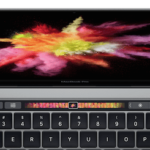 Apple boasted USB-C’s ability to function as a versatile connection to a range of external devices alongside its ability to provide power to the laptop. What’s more, USB-C is reversible! Gone were the days of turning over the USB cable in frustration as you try to put it in the right way around. USB-C has since made its way into Apple’s entire line-up of MacBook Pros. The latest of which feature up to four USB-C connections, now paired with Thunderbolt 3 support to work with even more devices. Sadly though, despite USB-C’s high speed and range of uses, it doesn’t seem to be as durable as it’s predecessors. 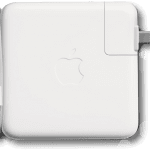 Many MacBook users have experienced poor connections through USB-C on their MacBooks. 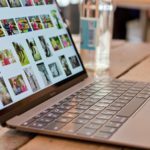 Although the problem certainly isn’t affecting all MacBooks, for those who have been affected it can be infuriating and upsetting. Typically, the issue arises after about six months of use. It seems to be due to poorly manufactured parts that wear down over time making the MacBook USB-C ports loose. The once sturdy and reassuring ‘click’ that accompanies plugging a cable into the USB-C port fades away and the connection becomes loose and unstable. As a result, slight movements of the cable or MacBook can cause the USB-C connection to drop out. This could cause external monitors to flicker, or in worse cases, it could cause external hard drives to corrupt. If your MacBook USB-C ports are loose, then we’ve got good news and bad news for you. The good news is that the ports are replaceable. 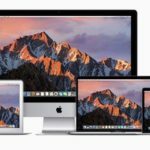 If your laptop is less than a year old or covered under AppleCare, then Apple might replace them free of charge. If your MacBook isn’t covered then the fix is relatively inexpensive — costing approximately $20 plus labor. You should make sure you visit an official Apple Store or an Authorised Apple Service Provider, otherwise you could void whatever warranty remains on your laptop. Additionally, you should go to your appointment prepared. Make a strong case for a replacement part by bringing your external devices to show the unstable connection. Be sure to explain the consequences of this fault: data corruptions, work interference, laptop not charging properly. If necessary, you can even direct the technician to one of the following threads where other users discuss the same problem: Thread 1, Thread 2, Thread 3. Now for the bad news. And it is bad news unfortunately. It appears that the reason the connection becomes loose is due to the construction of the USB-C port. Apple don’t seem to have changed the part yet. As a result, you may experience the same problem again six months after receiving a replacement part. At which point your laptop may not be covered by the warranty. Fortunately, not all USB-C ports are equal and only a relatively small portion of MacBook users are experiencing this issue. That being said, you should do everything possible to maintain your USB-C ports, minimizing the risk of encountering such an issue. To do so you could follow some of the maintenance tips detailed below. Protect your laptop from damage and your ports from dust build-up by using a laptop sleeve. Purchasing a padded laptop sleeve is one of the most cost-effective ways to provide long-lasting protection for your expensive device. It also defends your ports from excessive dust and dirt which could lead to connection problems down the line. For further protection against dust and dirt, a USB-C dust cover can be helpful for whenever you aren’t using the ports. These silicone caps cover the port and can be purchased cheaply in bulk. Alternatively, use small pieces of tape to cover the ports, however, this might leave sticky areas on your precious MacBook. If you do find that dust or dirt is clogging up your USB-C port you should use cans of compressed air to clear it out. These can be bought online and are by far the safest way to clean your laptop ports. If you do find your ports clogged up with particularly stubborn dirt you could use a toothpick to carefully scrape it out. Although, when doing so you must be very careful to keep the toothpick against the outside edge of the port and away from the sensitive connections in the middle. Take care whenever inserting or removing USB-C cables from the port. Hold the laptop in place and grip the USB-C connector firmly by its plastic casing — not the cable. With a cable connected, be sure to avoid knocking or putting pressure on it, as that may stress the USB-C port. These tips may seem obvious but this deliberate use can go a long way to preserve your device. Let us know your thoughts on Apple’s move to USB-C connections. Are your MacBook USB-C ports loose or have you had any other problems? Finally, a place where people can relate. I’ve been complaining about this problem a ton! Finally after 5 cables to replace the power apple got me to buy they claim its a hardware issue and I have to pay to send it to Texas. Doh I know it’s the connector! I just am tired of losing info off external drives. So I guess I’m stuck till I get my next laptop. FYI I’m betting the power cord going on/off/on/off may be the reason why my battery failed after 50 cycles! crappy quality for a premium price….nice work if you can get it. I have a 2011 MBP – works perfectly. and a late 2018 MBP – all 4 ports are useless…. what are apple going to do about it? nothing I’ll bet. shame, but it be a surface or equivalent next time unless this gets fixed. Sigh…faulty ports – and foolish me thought it was just crappy connecters – until I tested them on another computer – worked fine. FAILED ME last night – audience of 50 people – HDMI would not connect through an adapter – Luckily I had a back up computer with me. Apple should have done a recall. Shame! After getting MacBook Pro 2018 in September my usb c ports on left hand side failed twice now and under consumer law I got a full refund .this is so annoying as I have a 2103 MBP and have zero problems with it.so going back to using this one till apple sort this out. On one of the usb fails it corrupted two external drives and I spent weeks getting data I use for work off them, the whole experience has been a nightmare and all apple did was refund , tbh I know that’s ok but expected more effort of apple to keep me as a MBP user ..
Hi Colin, I am currently experiencing the same problem. I have the latest 13 inch MacBook Pro without the touchbar, purchased in October last year from Apple Store. Can I get a refund from them and if so, can you tell me which part of the Consumer Rights Act to read? I am having significant problems with my USWB-c ports on my new MacBook Pro. All 4 ports exhibit the same issue …. when using either the Apple USB-C to USB 3 adaptors and 3rd party adaptors as well, my Seagate SSD drives disconnect. Today, an entire 2TB drive became corrupted. This is clearly unacceptable and not up to the usual high standards of Apple products. This issue has cost me heavily. Only found out on this blog in 2019. Have spent $$$$ on a new routers, replacing external USB HD’s because second level (wired removable out of office/home) for TimeMachine and Backups did crash/stall and corrupted data and disturbed our MacBooks. Even bought a Synoloy because we were worried about backups and unreliable TimeMachine! The mac has killed 2 flash drives due to this. Sent them off for recovery but apparently they can’t be recovered. Scared to use any important external hard drive with this mac now. Expensive Mac now pretty worthless. Sort of glad (and sad) I’m not the only one having this issue. I have a 2017 MacBook Pro connected to OWC Thunderbolt for extra monitors, and its a very, very touchy connection at any of the 4 USB ports on the MacBook. One twitch, and the monitors go out, causing the machine to collect all the windows to the laptop, and then rearrange again when the MacBook finds the usb connection again. Definitely not recommended for any critical data connections. I would think there would be a place to buy some sort of accessory to give your usb-c port more grip. I would love to see something like this, mostly for when working behind the desk without needing to disconnect your hard drive. I personally really need this security and thought that something like this already existed. I AM TIRED OF TAPING MY USB TO MY COMPUTER. Anyone ideas? After about 4-5 months of use, I started noticing that the port I mostly use for charging my 13-inch touch bar MacBook Pro 2018 is feeling loose and I start worrying, maybe the port is coming off the PCB? In addition to these heat problems, I get the feeling Apple is making shortcuts in quality and design, but not in pricing. I really miss the MagSafe! External “MagSafe” connectors do not cure the port problem. My MBP Pro is suffering from this. External hard drives don’t stay connected. With the keyboard, I’m shocked by the low hardware quality Apple is providing these days. This will certainly be my last MBP. My MacBook Pro came with two USB C ports. I haven’t yet discovered looseness, no doubt this pleasure awaits me. What I have discovered is that USB C is a nightmare for the user. There are no USB C to USB C expansion hubs. All are USB C to older USB standards plus a variety of other connectors such as SD cards, VGA, HDMI, Ethernet etc. I haven’t yet discovered any “hub” that is reliable. they all start running hot and then fail. Apple’s own offerings get terrible reviews for the same reasons. Many quite expensive ones fail as quickly and as badly as the cheaper ones. I must have spent a few hundred dollars on these damned hubs. I am now considering dumping this MacBook Pro and buying an out of date MacBook Air with the older ports that its still available in some stores. No doubt Apple will fix the USB C issues in the next few years, but until then I am going to stick with the old standards. And loose USB C ports will not be a problem either. I bought a BRAND NEW MacBook Pro late 2017 and my external hard drives were disconnecting the first day! B&H refused to refund my money. I’m a professional video producer and it has already corrupted one of my client projects. I think I will have to move to PCs because you can’t buy laptops with anything but USB-C now. Sad! I had the very same problem with my Macbook 2018. It is a shame how Apple degrades in quality due to stupidly favouring design over function. I found that connections are most unstable when using USB-C multi connection hubs like Hyper*Drive (basically unusable) and VAVA (rebuilds screen even when slightly touched). Most stable connections so far with AUKEY adapters. Apple Genius Bar had tested and apparently did not find any problem, but since then it got even much worse. Will need to get another appointment. The loosening of the ports has nothing to do with dirt, grime or dust… Even though your suggestions are not quite there, they are helpful none the less. The ports become loose fitting, due to the fact that Apple in its stupidity thought it wise to use just PCB board rather than metal. Which over time wears down and yes, your assumption that it will re-occur is correct. I’m on my third MBP as a result of this fiasco. The only way to preserve your ports is to not use them? Go figure… seeing as one of the has to be used to power the unit up.